Live: Concept of BMW X7. 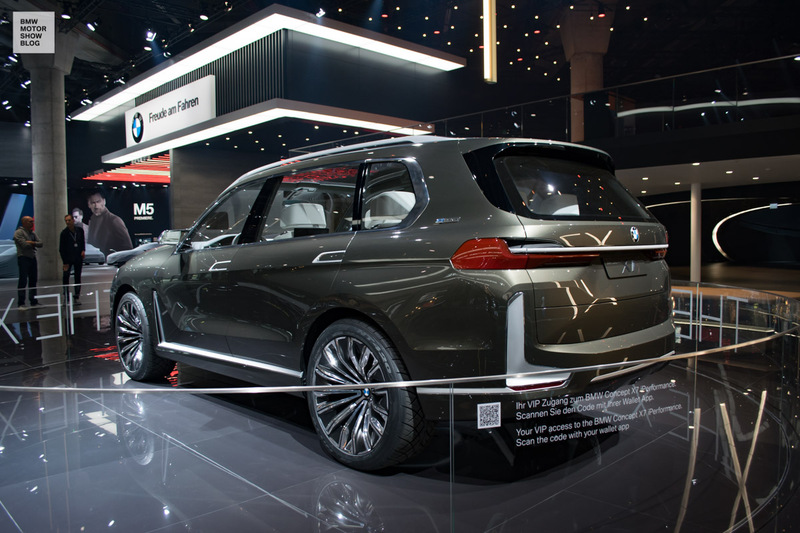 A new size, a new luxury: the massive BMW Concept X7 iPerformance prefigures BMW's entry into premium-class SUVs. 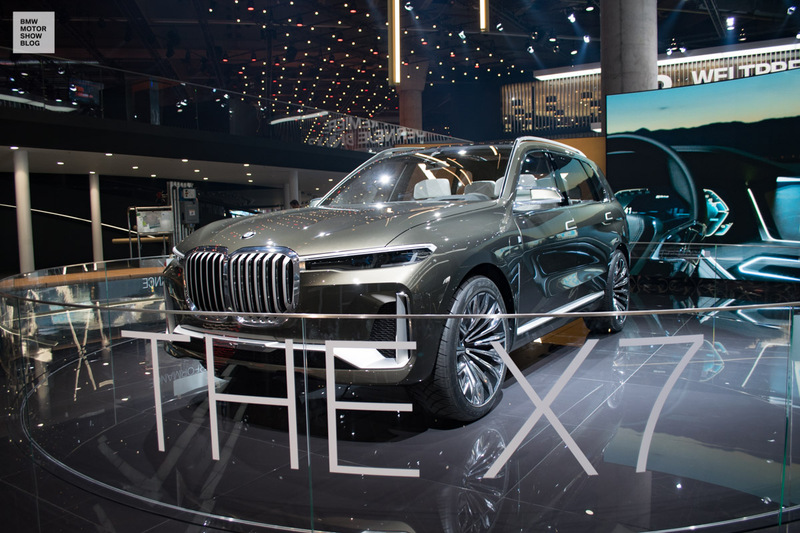 Preluding the IAA 2017, we had the opportunity to take an exclusive peak at the concept. 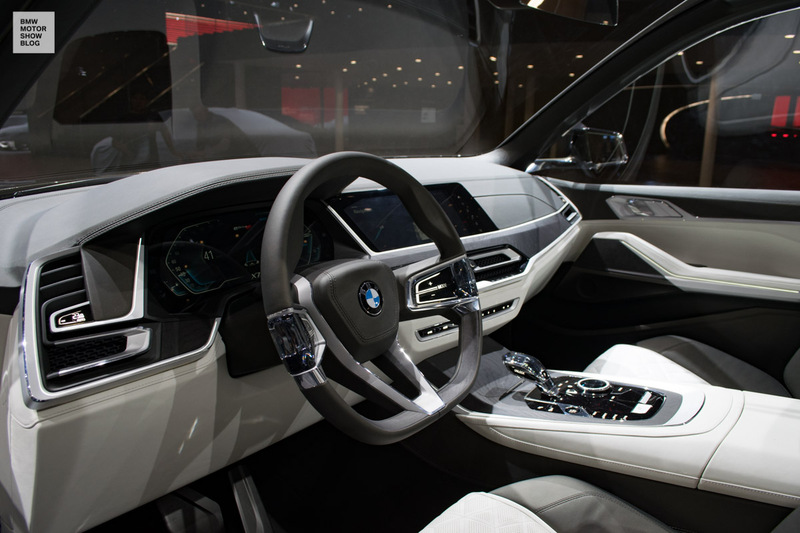 When confronted with the many-sided booths of the BMW-Group this IAA 2017, one wonders which area to engage in first. 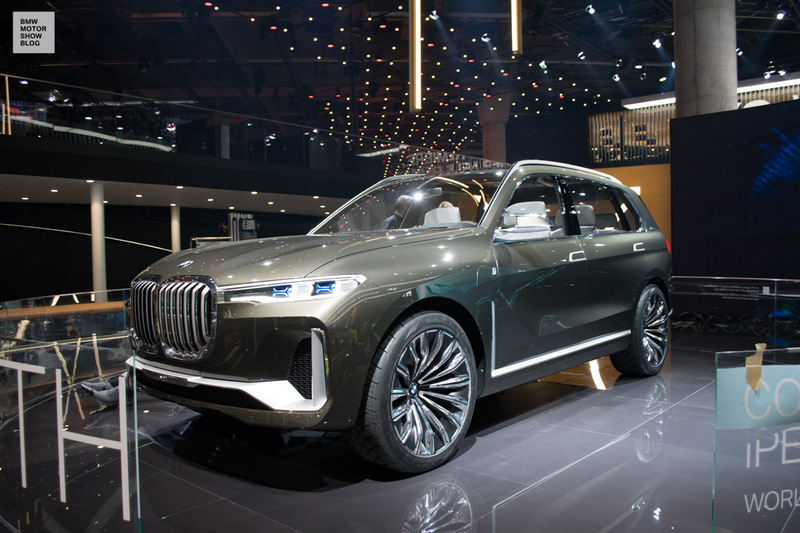 It does not matter where in Hall 11 of the Messe Frankfurt you turn, exciting new products and world premieres, spectacular Concept Cars and of course the entire range of BMW’s and Mini’s products effortlessly capture attention. 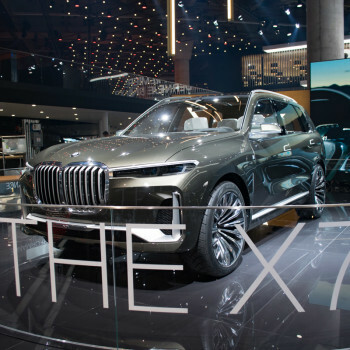 In Munich, the largest model campaign of the company’s history has launched – and the developers have made quite a good job of it. 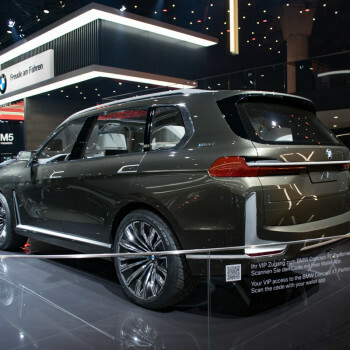 One of the more exceptional eye-catchers is without a doubt the new BMW X7 Concept, which awaits the IAA’s visitors between the X-models and the newly improved luxury segment located in the rear part of the hall. 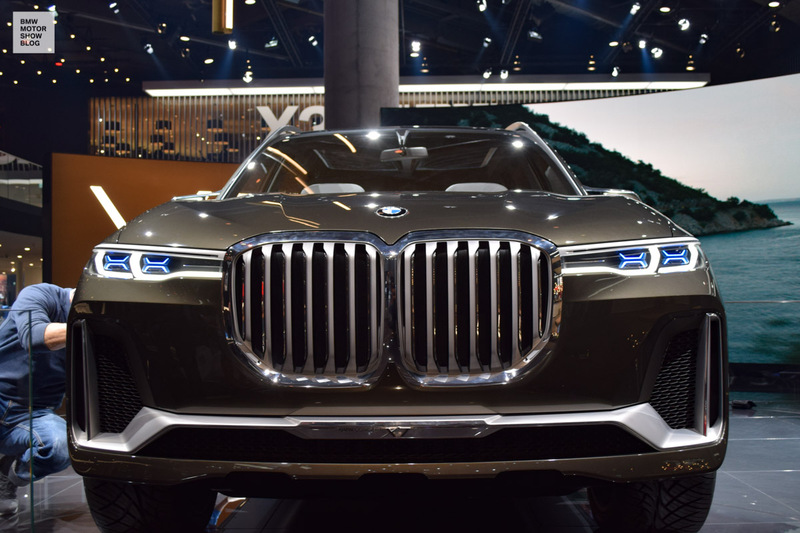 Clear, precise lines and indisputably powerful proportions accentuate its massive presence. 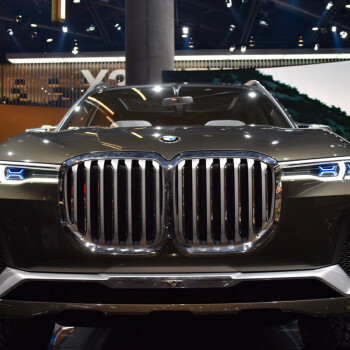 Strikingly, the design of the luxury SUV’s front differs considerably from the previous brand image. 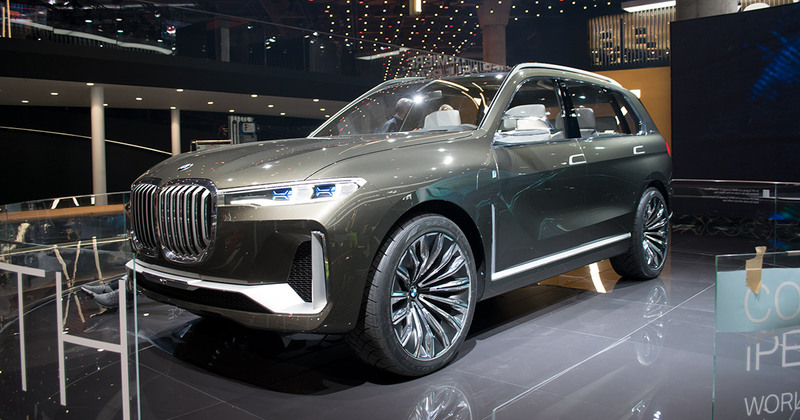 The immense vertical double kidney grille is escorted by two extremely slim laserlight beams. 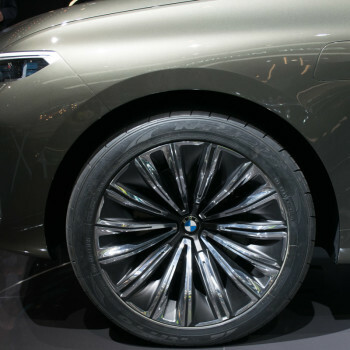 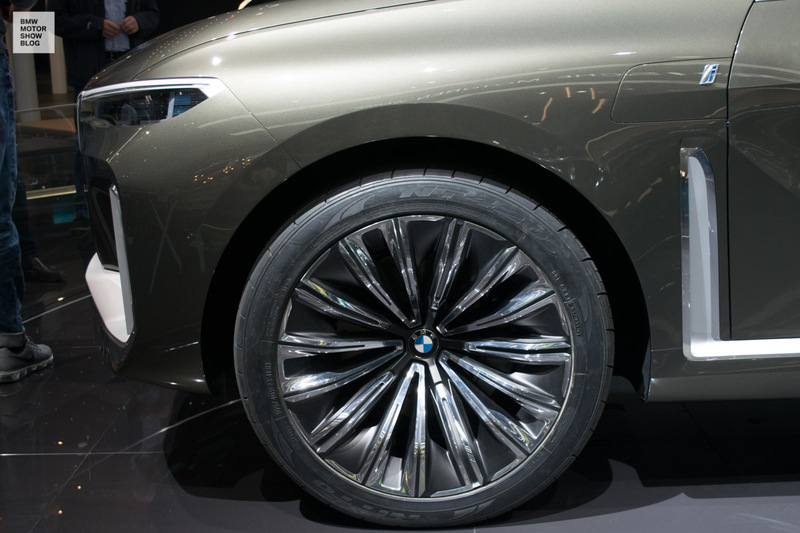 On the side of BMW Concept X7, the so-called “AirBreather” outlet behind the front wheel arch forms a ninety degree angle with the perpendicular strip of chrome above the lower sill. 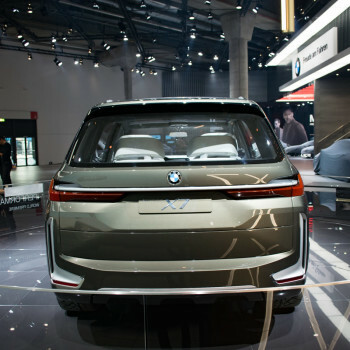 Similarly extreme: the hefty rear design. 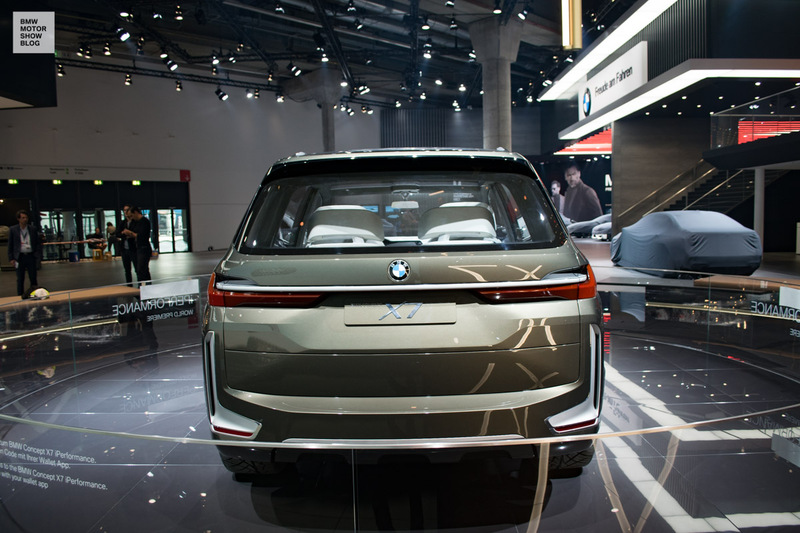 The extremely slender rear lights and dominant chrome applications in the rear bumper do not even attempt to counterbalance the weightiness of the offroader. 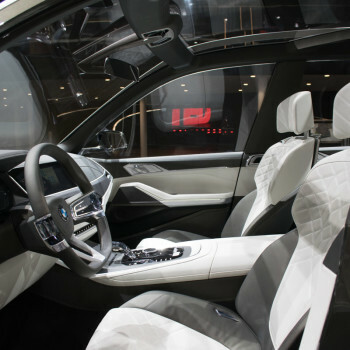 In comparison to its martial exterior design, the interior strikes one as being well-lit and airy due to the widespread use of light leather and six comfort-vouching individual seats. 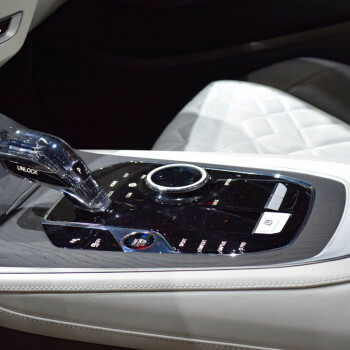 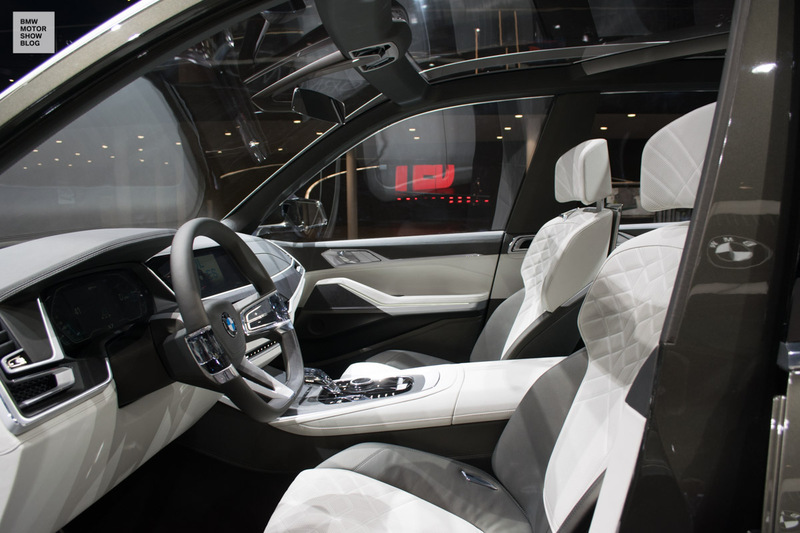 Conventional switches in connection with the centralized iDrive-Controller, have given way to touch sensitive surfaces. 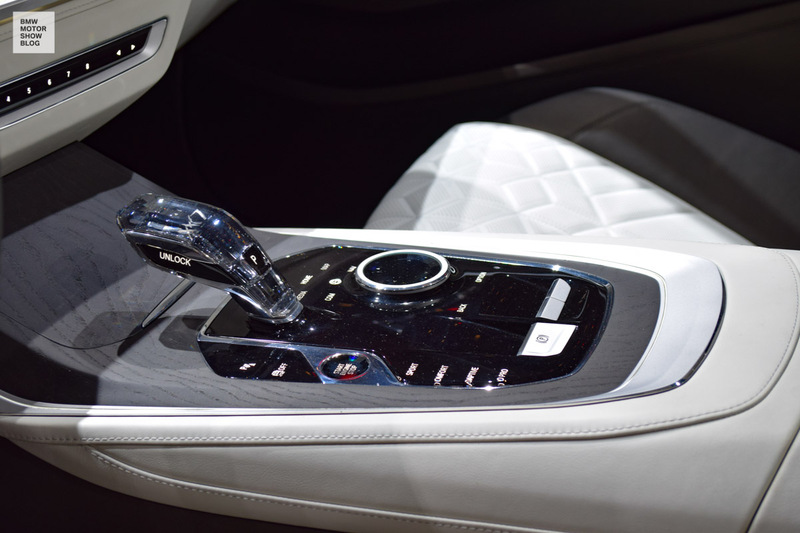 Similar to the BMW Concept Z4, the Infotainment-Display monitors and the instrument panel also give the impression of consistent uniformity. 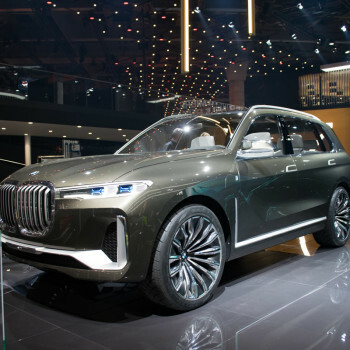 To regard the BMW X7 as a curious phenomenon which only occurs for this exhibition would be a popular mistake: the luxury all-terrain vehicle is planed to go into production as soon as 2018 – and the electrified TwinTurbo-Engine under the large bonnet certainly does not give the impression of being a purely theoretical driving concept.